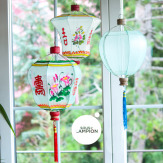 Gauze-like traditional Chinese lanternes, entirely handmade and painted with colorful designs. 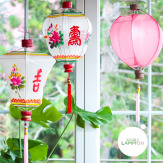 These sets of 3 lanterns will create a beautiful statement in any interior, from an entryway to a bedroom. The perfect gift for all home decor lovers.